Singapore, 7th February 2018 – While air traffic is doubling every 15 years in the world, the Asia-Pacific fleet is set to almost triple by 2036. For services, this translates into more than a third of the global MRO business coming from this region by 2036. This represents more than $660 billion – the sum total of the accumulated spending during the next two decades, and encompasses the following segments: Components; Line maintenance and Airframe base maintenance and Engine maintenance. Airbus predicts that the MRO alone business in Asia will grow by 4.5% annually (compared with 3.7% worldwide) until 2036. Anticipating this growth, Airbus has clearly accelerated its presence in the region since the last Singapore Airshow, seizing all opportunities via acquisitions, joint ventures and partnerships, with digitalisation and co-innovation as key drivers. Airbus also foresees a global Asia-Pacific demand to train 220,000 new pilots for aircraft (above 100 passengers), and more than 200,000 new technicians, representing around 40% of the pilots and technicians worldwide training market. Creation of a dedicated Asia-Pacific Customer Services hub: To seamlessly coordinate all these support and services activities for the benefit of the airlines, Airbus has created a new Customer Services hub in the region. The newly appointed Head, Bruno Bousquet, is missioned with managing a Customer Services entity with locally empowered teams, 1,000+ highly qualified employees spread across the region, close to customer operations. 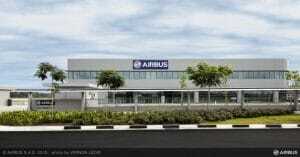 Bousquet will be based at the Airbus Asia headquarters located at Singapore’s Seletar Aerospace Park. 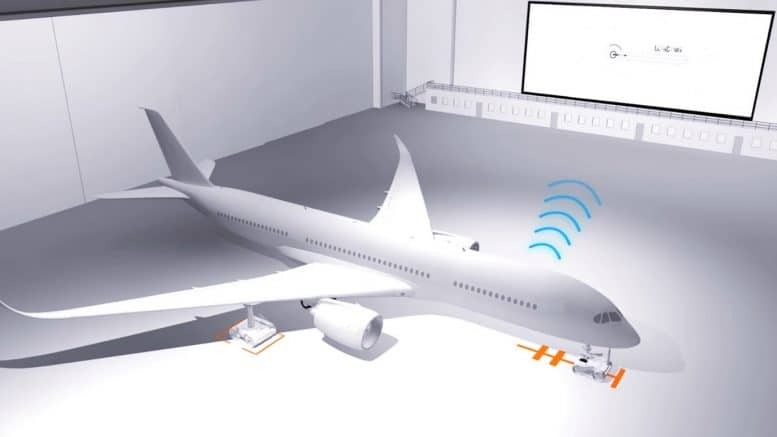 ‘Hangar of the Future’ project gains momentum: Significant progress has been made since the launch of Airbus’ “Hangar of the Future” two years ago with the support of the Singapore Economic Development Board (EDB). This project aims at exploring the digitalisation and automation of maintenance operations. It is now becoming reality and accelerated by Skywise – Airbus’ open data aviation platform launched in June last year. Increased MRO presence: Sepang Aircraft Engineering in Malaysia, which joined the Airbus services family following an acquisition in October 2017, will be the first to benefit from Airbus’ latest innovations in maintenance. The facility has recently opened a second hangar in response to growing demand, and is equipped with an eco-friendly paint hangar. Meanwhile, Heavy Maintenance Services (HMS) Singapore was launched less than 18 months ago as an Airbus joint venture with SIAEC. These latest moves will enable Airbus to cater for the short to long-term needs of the MRO market in the region. Co-innovation on MRO activities is also part of the partnership in place with China Airlines – the founding member of Airbus MRO Alliance in Asia-Pacific. Flight Hour Services (FHS): Affirming the validity of this strategy, a new A350 FHS deal has recently been concluded with Hong Kong Airlines, highlighting the increasing need for turnkey solutions for airlines in the region. With Airbus FHS airlines benefit from coordinated Airbus solutions so they can focus on their core business: airline operations and passenger satisfaction. Pilot & Technical Training expansion: To address the growing needs for pilots and technicians training, Airbus opened the Airbus Asia Training Centre in 2016, a joint venture with Singapore Airlines, and will extend its capacity in 2018 for it to become one of Airbus’ largest training centres in the world. 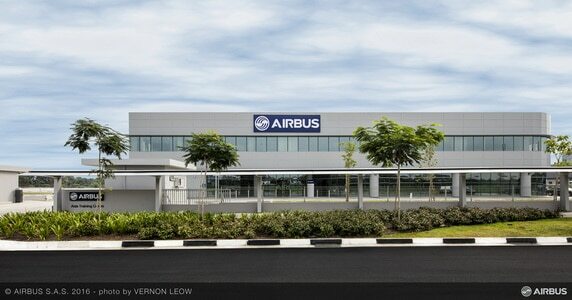 Be the first to comment on "Airbus strengthens position in Asia-Pacific aviation services market"